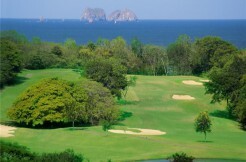 Noted as one of the most pristine resorts, Reserva Conchal Beach and Golf Resort offers property owners a luxury enclave of superb Guanacaste real estate, amenities and service. Situated in the famed Guanacaste region, Reserva Conchal is a spectacular resort community, along Costa Rica’s Gold Coast, with views out to the Catalina Islands. 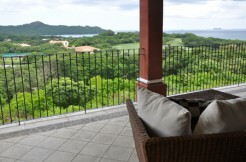 The 2,300 acre Costa Rica real estate and resort community of Reserva Conchal is designed to blend seamlessly with the native terrain and focuses on an eco-friendly design offering perfect harmony with the natural surroundings. Currently there are over 150 luxury condominiums, townhomes and homes built by the developer. Reserva Conchal property owners and renters enjoy quality accommodations, plush comfort and diverse amenities, including the all-inclusive Westin Hotel as well as the 18-hole championship golf course designed by Robert Trent Jones II. You will also enjoy the exclusive members-only Reserva Conchal Beach Club, spanning a gracious 60,000-square-feet and featuring the Catalina Restaurant and the exceptional Spa at Playa Conchal. When complete the resort will encompass 1,200 luxurious residences, planned carefully in phases, to take advantage of the property’s natural terrain and vistas of both the golf course and the sparkling blue Pacific. With 150 residences fully constructed, Reserva Conchal invites you to explore each of the residential phases in its masterplan, each named after an indigenous flora of Costa Rica. Bouganvillea: Completed in 2002 and among the first condos to be completed, these 62 Spanish-Colonial residences boder the Reserva Conchal golf course and look towards the Pacific Ocean and beyond. While inventory of these properties was completely sold out years ago, some residences are available on the resale market. The Bougainvillea condos exceed all expectations of comfort, luxury, security and style. 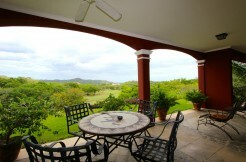 Many of the Bouganvillea residences are offered fully furnished and move-in ready. Melina: The first fully custom home community in Reserva Conchal, Melina features 12 homesites with golf and beautifully landscaped views that serve as the ideal setting for some of Guanacaste’s most spectacular residences. Completed and sold out in 2005, some residences are currently available on the resale market. 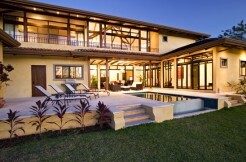 Melinas is ideal for families or those looking for a luxury home in Costa Rica. Malinche: Discover these 27 condominiums and 6 luxury townhomes, each with Spanish-colonial design and unrivaled hilltop views that look down to the sea and the Catalina Islands below. The condos were completely sold out in the per-construction phase and only one of the townhomes was made available for sale from the developer. 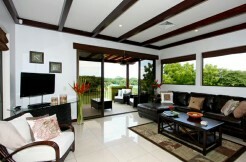 Each of the villas boasts 3/4 bedrooms, private Jacuzzis and pools with access to a stunning Clubhouse. Some properties are now available on the resale market. Jobo: Named for a tree that thrives in light and boasts beautiful and fragrant flowers and leaves. 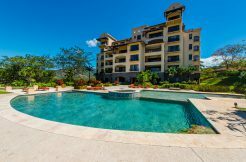 The Jobo condominums features spectacular views and are sure to be some of the most sought after properties in Guanacaste, Costa Rica. Carao: Featuring gorgeous residences with contemporary design, these condos and villas are situated along the 10th fairway of the Reserva Conchal golf course. The “Terrace Condos” feature 30 3-bedroom residences with golf course and ocean views. 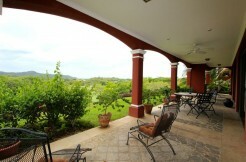 The “Carao Villas” are 12 spacious townhomes with golf course views, private pools and garden terraces. Completed in 2008, the majority of these properties were sold preconstruction, but some residences are available for sale brand new and some are being offered on the resale market. Llama del Bosque: This is a rare release of single family homes located directly on the Robert Trent Jones II Golf Course. These luxurious properties feature a ¼ acre+ average lot size, easy access to the Westin Resorty & Spa at Playa Conchal as well as the Reserva Conchal beach and golf clubs. The Llama del Bosque homes offer master condominium infrastructure and services, freedom to build a custom home on your own timeline, design guidelines and conceptual architecture by Ronald Zurcher, and titled and fee simple ownership. Pricing starts at $200k. Financing options are also available. 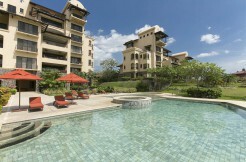 Roble Sabana: 1, 2, and 3 bedroom contemporary ocean and golf view residences. 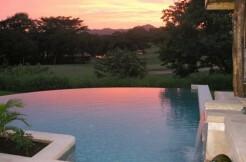 The homeowners at Reserva Conchal are a diverse group spread among multiple nationalities. With approximately 50% of Reserva Conchal property owners being from the U.S. and over 20% are native Costa Ricans. 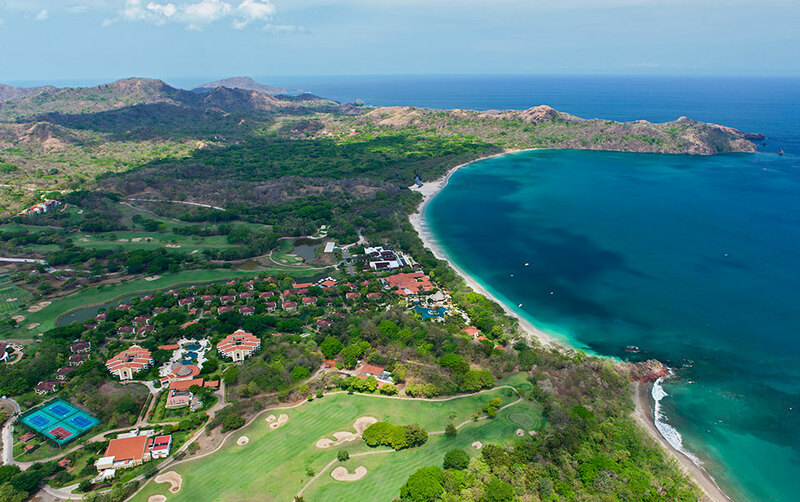 As one of the most prestigious beach resort communities along Costa Rica’s Northern Pacific Coast, you’ll find life is good at Reserva Conchal in Guanacaste, Costa Rica.